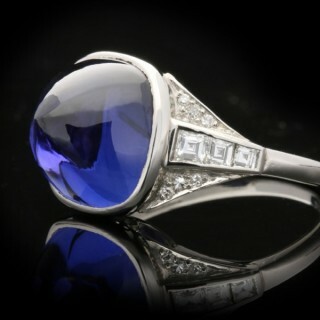 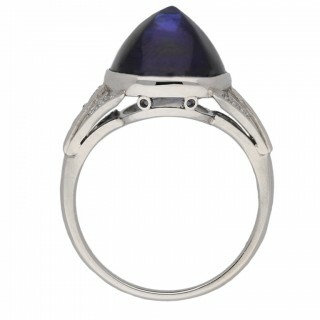 Art Deco colour change sapphire cabochon ring. 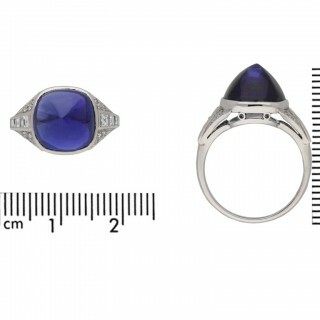 Set to centre with a sugar loaf cabochon natural unenhanced Ceylon blue/purple colour change sapphire in an open back rubover setting with an approximate weight of 10.14 carats, flanked by six square step cut diamonds in open back channel settings with a combined weight of 0.28 carats, further adorned by twelve round eight cut diamonds in open back grain settings with a combined weight of 0.10 carats. 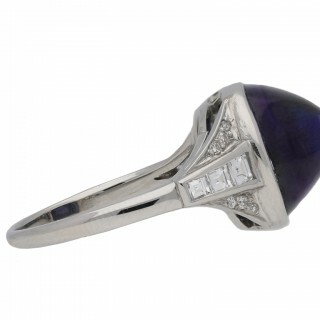 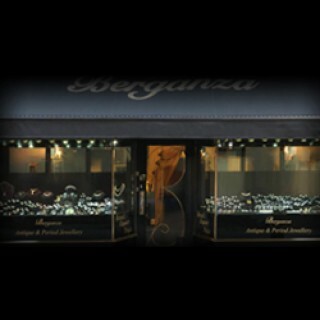 The total approximate diamond weight is 0.38 carats, to an elegant geometric design with polished edges, an openwork gallery supported by cheniers and pierced backholing, the trumpeting shoulders flowing to a solid D-shape shank. 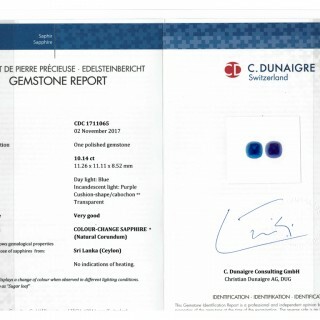 Marked platinum, circa 1930, accompanied by C. Dunaigre report #CDC1711065. 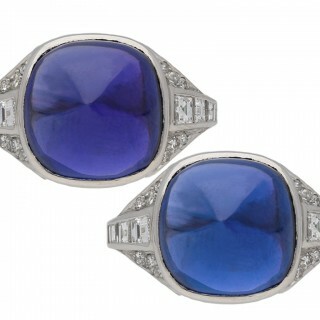 Art Deco colour change sapphire cabochon ring, circa 1930.